A FOOD supplier to some leading German supermarkets has come under investigation from Murcian prosecutors over claims of waste dumping in the Mar Menor lagoon. Authorities have alleged around 40 farmers, officials and agriculture firms were also implicated in environmental offences in the area popular with expatriates. Murcia prosecutors told German media those being probed are suspected of using illegal methods to pump wastewater into the Mar Menor. The offences carry a five-year prison sentence under Spanish law. G’s España, a subsidiary of the British G’s group, one of the companies investigated, supplies fruit and vegetables to supermarkets including Rewe, Edeka, Lidl and Aldi Sud. G’s España and Rewe did not respond to requests for a comment while the others said they relied on environmental certification to ensure regulations were followed. The probe comes as the Pact for the Mar Menor protest group said it planned to hold demonstrations over the lagoon on Tuesday. The group said they were concerned over the impact human activity was having on the area’s ecosystem. 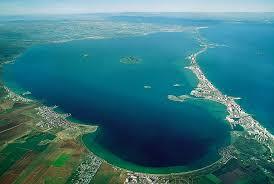 The Mar Menor is the largest lagoon in Spain and is legally protected from activities harmful to the environment.